METAMODERN, FASHION WEARABLE TECHNOLOGY - MetaModern Magazine, The Voice of Our Digital Meta Modern Culture. Metamodern is steeped in old, melding with new, becoming it’s own entity. Filled with substance and inherently built for the individual, the metamodern era indeed has its own tone and flavor. As in each defined era, the metamodernist artist finds his forte, his series, his essence and makes it his, distinguishably, his. 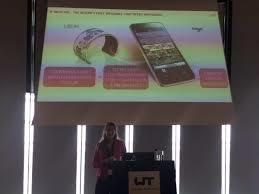 The company, L!berat8, technologically savvy, and innovatingly interesting, has created fashion wearable technology. Fashion wearable technology with a key metamodern trait, the agility and ability to change. This metamodern jewelry takes that precise idea and creates personality. Jewelry is a statement about oneself. As adoring as an necessary accessory, cravat, shoes or sunglasses, jewelry is a mood, a necessity of personal expression. It is changeable, gradeable and playable. L!berat8, the technology company, has entered an area. One of the oldest, actually, adornment. Yet, their technological core, strikingly places their jewelry creation in metamodern artistic adornment category. “We, the people of LIBER8 Technology, believe in a future that is free of batteries, cords and buttons. A future where design-forward thinking, aesthetics and customer experience are in the focus. For this we create and develop energy harvesting and wireless display solutions for wearables and small electronic devices. We disrupt static industries with our dynamic solutions.ocus. For this we create and develop energy harvesting and wireless display solutions for wearables and small electronic devices. Their bracelet embraces the wrist as it’s own statement of fact. 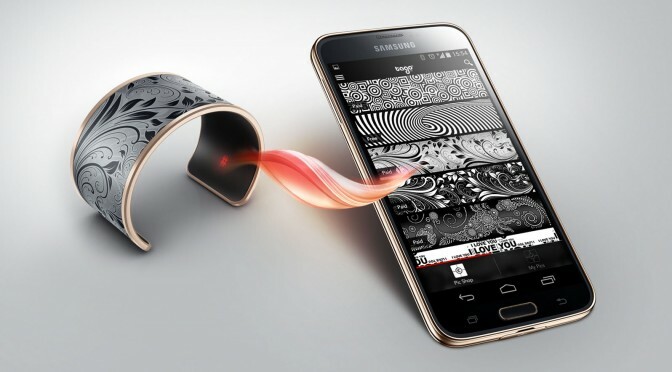 The ability to change the pattern on the bracelet, via bluetooth embraces the individual. The ability and availability of changeability is so very metamodern and who better to embrace the world’s capabilities, than a company where technology meets art, meets fashion in “fashion wearable technology”.